Former Ultimate Fighting Championship (UFC) light heavyweight champion, Mauricio Rua, is waiting for the promotion to deliver his next assignment after scratching and clawing his way back into the top five of the division. But don’t expect him to be calling for a 205-pound title shot. Instead, Rua wants to avenge his brutal knockout loss to Ovince Saint Preux, which took place at the UFC Fight Night 56 mixed martial arts (MMA) event back in late 2014 (more on that here). It’s not an outrageous request. Since they last met, Rua (25-10) went 3-0 and recently took Gian Villante to the woodshed at UFC Fight Night 106. Saint Preux (20-10), meanwhile, dropped four of his last seven and fell to No. 8 in the rankings. This light heavyweight rematch doing anything for ya’? 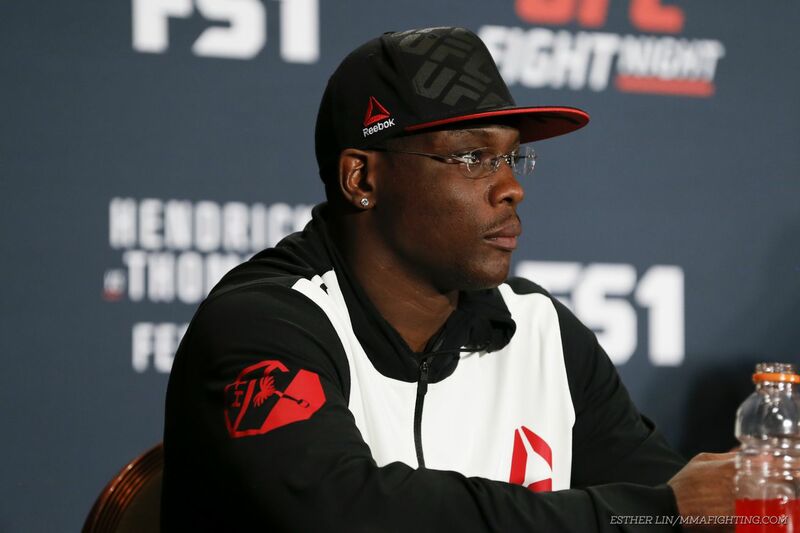 The post UFC Fight Night 108 Primer: Ovince St. Preux, Gatekeeper appeared first on Caged Insider. At UFC 204 in October 2016, Jimi Manuwa scored of of the best knockouts of his fighting career. The British fighter blasted former title challenger Ovince Saint Preux with a left hook that sent him straight to the canvas. The finish over Saint Preux earned Manuwa a $ 50,000 Performance of the Night bonus. Now, for his next fight, Manuwa will be taking on top-10 ranked light heavyweight Corey Anderson in the main event of UFC Fight Night 107. This card is set to take place Saturday, March 18, at the The O2 Arena in London, England. Ultimate Fighting Championship (UFC) is giving light heavyweight power puncher Jimi Manuwa headlining duties against The Ultimate Fighter (TUF) 19 champion Corey Anderson for the upcoming UFC Fight Night 107 mixed martial arts (MMA) event, locked and loaded for this Sat. (March 18, 2017) inside O2 Arena in London, England. More on how that fight came together right here. Manuwa (16-2) rebounded from his brutal knockout loss to Anthony Johnson at UFC 191 by delivering an equally-violent finish against light heavyweight contender Ovince Saint-Preux at UFC 204 back in October. Turning away “Overtime” may not launch him up the 205-pound rankings (see them here), but it will undoubtedly give him some much-needed momentum as he tries to gain traction in the light heavyweight title chase, something he desperately wants after a bevy of well-established veterans turned him down. To see who else is fighting at UFC Fight Night 107 click here. Ultimate Fighting Championship (UFC) Light Heavyweight knockout artists Ovince St. Preux and Volkan Oezdemir went to war last night (Feb. 4, 2017) at UFC Fight Night 104 inside Toyota Center in Houston, Texas. Despite being ranked inside the top 10, St. Preux entered this bout in the midst of a rough patch. Having lost three of his last four, it was very important for “OSP” to put on a strong performance, as his status as a contender depended on the victory. As a short-notice replacement, not much was expected of Oezdemir, who was largely an unknown heading into this bout. Still, the Swiss athlete had an opportunity to immediately make an impact on his division, and he came out swinging. Oezdemir started the bout aggressively, landing some hard kicks and boxing his way into the clinch. St. Preux attempted a trip and broke away, but Oezdemir returned to kicking hard and throwing big combinations. At about the halfway point in the round, St. Preux made some adjustments and found some success. His left kicks landed infrequently but with solid impact. Additionally, he caught Oezdemir charging in too recklessly a couple of times, countering his foe with hard shots. Nevertheless, Oezdemir controlled the dance and took the first round, capping off a strong start with a big flurry at the bell. St. Preux changed his approach in the second round, hunting for a double leg takedown and transitioning into a trip takedown. He put Oezdemir on the mat briefly, but the Swiss athlete scrambled up to his feet almost immediately, where he returned to battering his foe’s lead leg. Both fighters slowed considerably by the halfway point of the round. While the activity dropped, both men seemed to land whatever they were throwing as they took turns hitting each other with heavy body shots. The second round was definitely up in the air. Though both men were exhausted, they actively traded tired shots. The takedown did not materialize for “OSP,” but he was generally the more active and efficient fighter, throwing combinations and quick strikes. Meanwhile, Oezdemir lunged into power shots, which affected his accuracy and output. By the end of the round, St. Preux was on the offensive, putting his foe on the fence and digging to the body. Oezdemir hung in there and scored some hard shots, but he was really overwhelmed and exhausted by the end of the bout. Ultimately, Oezdemir was awarded the split decision victory. 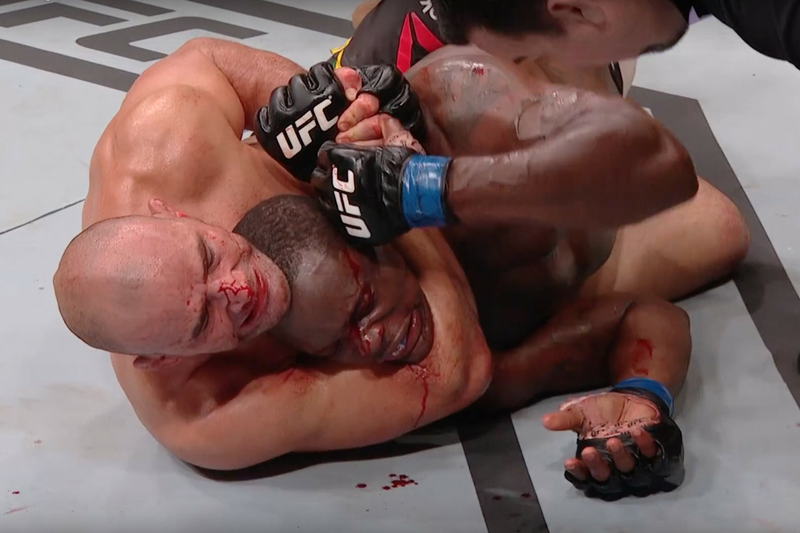 While the momentum was firmly in St. Preux’s corner at the end of the bout, Oezdemir did dominate the opening round and the second was closely contested. Both men had an argument to win, but frankly, the newcomer put on the better performance in a bout on very short notice. Oezdemir won this bout because he was able to kick with St. Preux. His inside low kicks did damage, and Oezdemir was not pressured to close the distance. Because he could wait for his moments — often while St. Preux was off-balance — Oezdemir was able to charge with less risk of being countered. Additionally, Oezdemir’s aggression was huge. Immediately, he denied St. Preux any time to find his range. He kept St. Preux on the defensive for a long time, and it allowed him to do damage and build an early lead. If Oezdemir’s conditioning improves with a full camp, he could just be a contender. As for St. Preux, this was a pretty poor performance regardless of whether you believe he earned the decision win. He never really turned it up until the third round, allowing his opponent to dictate the pace for much of the fight. More than anything, this loss illustrates how little St. Preux has developed on a technical level. His game is reliant upon his long range kicks — which are seriously hard but often lack set up — awkward but powerful counter punches, and his ability to physically overpower opponents to the mat. In this match up, none of those things worked consistency. Plus, St. Preux’s issue of being backed into the fence remained, as that’s where he absorbed a huge number of power punches. Following this loss, St. Preux’s future is unclear. This was a big step back in competition, and “OSP” did not perform like a ranked foe opposite a newcomer. If he’s going to return to the title mix, he needs some strong performances quickly. Last night, Volkan Oezdemir scraped past Ovince St. Preux for a victory in his UFC debut. How high is the Swiss athlete’s ceiling? For complete UFC Fight Night 104 “Jung vs Bermudez” fight results and play-by-play, click HERE! Watch Jimi Manuwa vs. Ovince Saint Preux full fight video highlights from UFC 204′s main card above, courtesy of FOX Sports. UFC 204: Bisping vs. Henderson 2 took place Oct. 8 at the Manchester Arena in Manchester, England. UFC light heavyweight contenders Jimi Manuwa (16-2) and Ovince Saint Preux (19-9) faced off on the night’s main card, which aired live on pay-per-view. Catch the video highlights above. For more on Saint Preux vs. Manuwa, check out the play-by-play courtesy of MMAFighting.com’s Luke Thomas. At UFC Fight Night 73, UFC light heavyweights Glover Teixeira and Ovince Saint Preux battled in the main event of the card. That night, the Brazilian fighter defeated Saint Preux with a third round rear-naked choke. Now, Teixeira looks to improve his wining streak to four in a row by taking on heavy hitter Anthony Johnson. The two knockout artists are scheduled to fight in the co-main event of UFC 202, which takes place on Aug. 20 at the T-Mobile Arena in Las Vegas, Nev. Nate Diaz and Conor McGregor are scheduled to headline the card in a welterweight bout. UFC 204 has yet to be officially announced, but the fight is card is filling up. The promotion is targeting Jimi Manuwa vs. Ovince Saint Preux and Stefan Struve vs. Ruslan Magomedov, MMA Fighting has learned. Manuwa (15-2) hasn’t fought since his knockout loss to Anthony Johnson last September. He was scheduled to fight earlier this year, however, an injury sidelined him. Saint Preux (19-8) will look to rebound following his interim light-heavyweight title loss to Jon Jones in April. He broke his left arm in that fight but is recovering well. 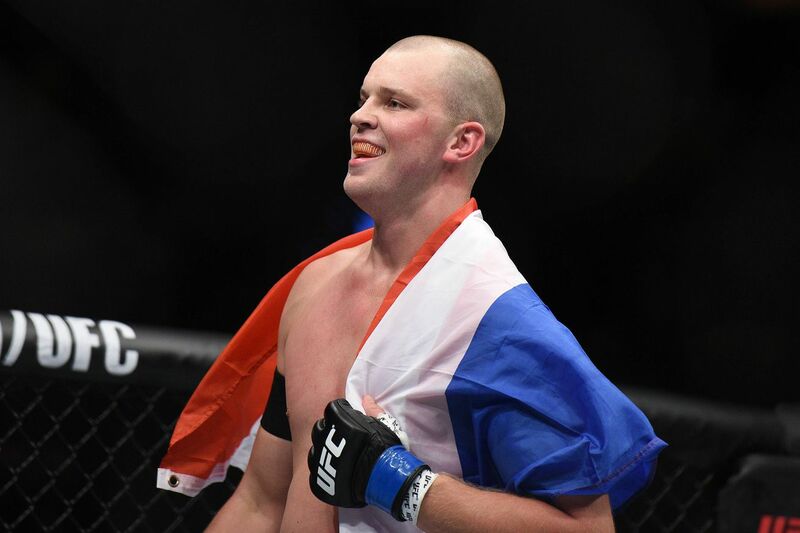 Meanwhile, Struve (27-8) is coming off a 16-second knockout of Antonio Silva in May, while Magomedov has won his last nine fights in a row, including his first three in the UFC. As of right now, UFC 204 is expected to take place on Oct. 8 in England, however, it is still unclear where in England it will be held. There have also been talks of Michael Bisping vs. Dan Henderson 2 for the middleweight title headlining the card, but that fight has not been finalized yet either. On Monday, the Nevada Athletic Commission revealed the banned substances for which former UFC light heavyweight champion Jon Jones tested positive in a USADA test. Jones popped for hydroxy-clomiphene, an anti-estrogenic agent, and letrozole metabolite, an aromatase inhibitor, in an out-of-competition test administered on June 18, which caused him to be pulled from his scheduled UFC 200 main event against Daniel Cormier. And while Jones steadfastly maintains his innocence, at least one of Jones’ former opponents isn’t buying it. Ovince Saint Preux fought Jones as a replacement for an injured Cormier at UFC 196 and went the distance, suffering a broken arm in the process, before losing a unanimous decision. In a text sent to MMAFighting.com‘s Ariel Helwani on Monday, Saint Preux wondered aloud what how Jones’ test result might reflect on his previous fights. Saint Preux clearly doesn’t believe Jones is telling the truth, and he urged his former opponent to come clean. The NAC temporarily suspended Jones pending a future hearing, date TBD. He could face a suspension of two years. Saint Preux suffered a broken left arm in the second round of his fight with Jones. While there’s no timetable set for his return to the cage, his coach, Joey Zonar, reports OSP’s arm is healing and he will visit a doctor again soon as he looks to retain to action.